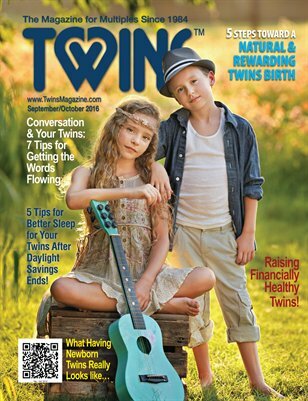 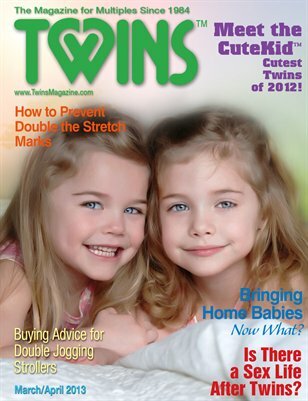 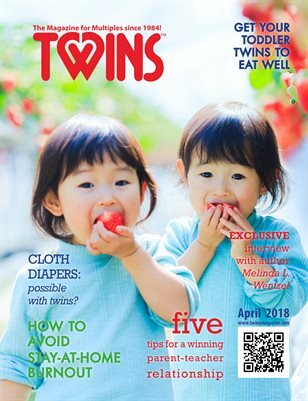 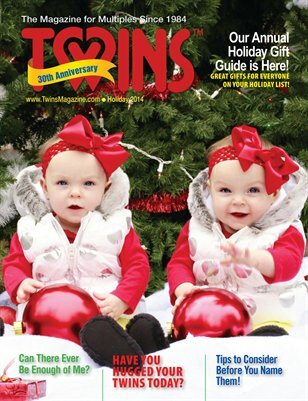 We are the world's leading magazine completely dedicated to having and raising twins, triplets and higher order multiples for almost 30 years! 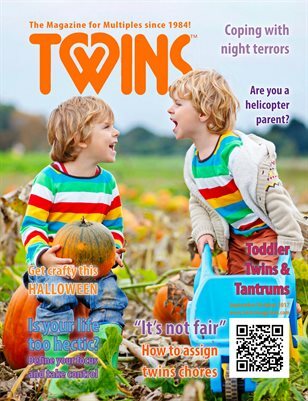 September/October 2017 issue of TWINS Magazine. 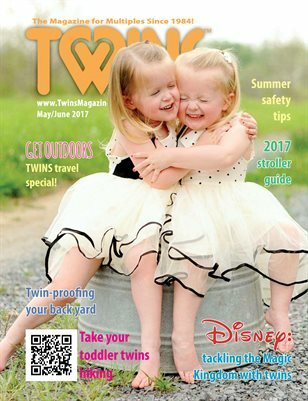 May - June 2017 issue of TWINS Magazine. 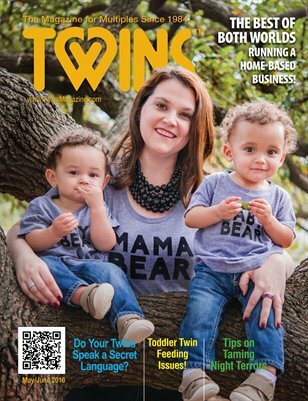 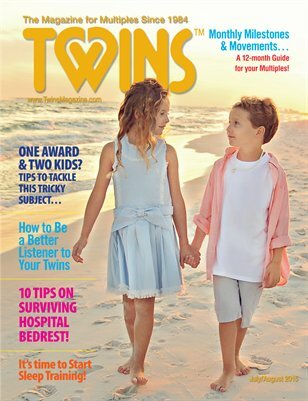 Our January/February 2017 edition is here, and it's packed with loads of great info on raising twins and multiples! 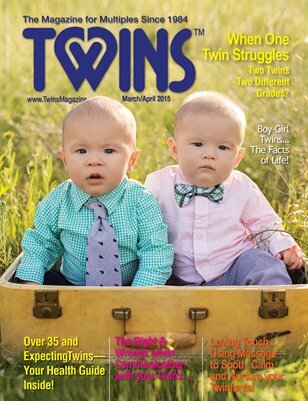 Spring into spring with our March-April 2016 edition! 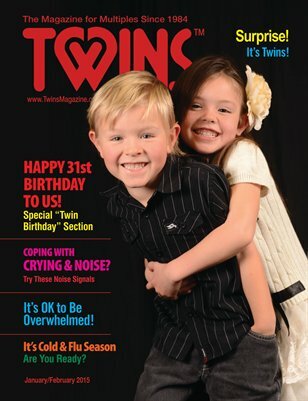 It's our 32nd Birthday Issue! 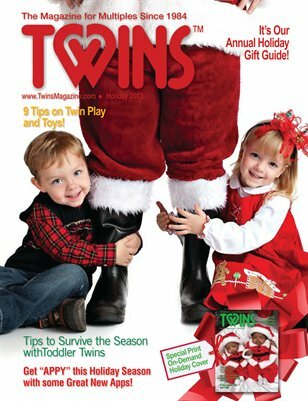 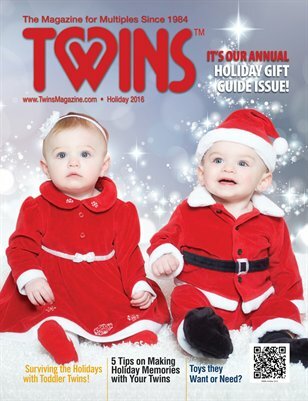 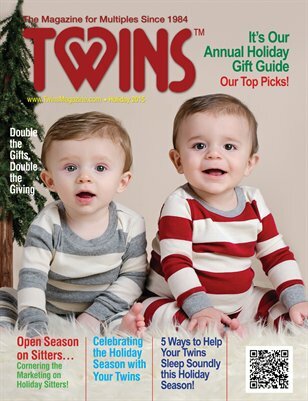 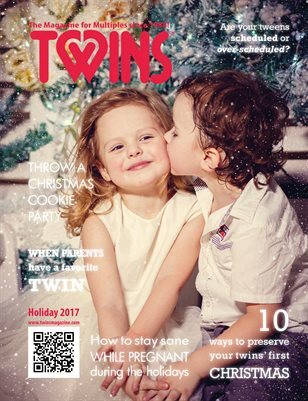 Our Annual Gift Guide Issue packed with gift ideas and timely holiday articles specific to parenting twins and higher order multiples! 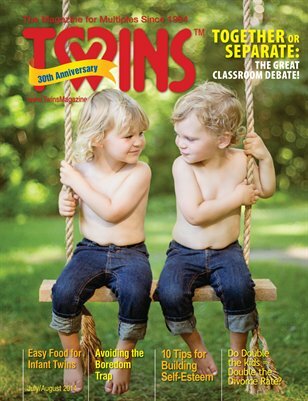 Our Sept-Oct 2015 edition is now available to order! 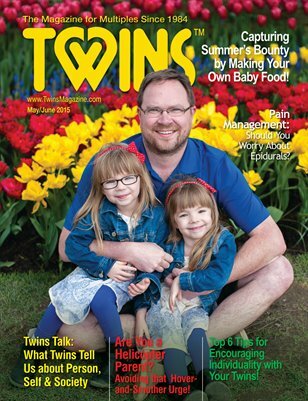 Our May-June 2015 edition is here! 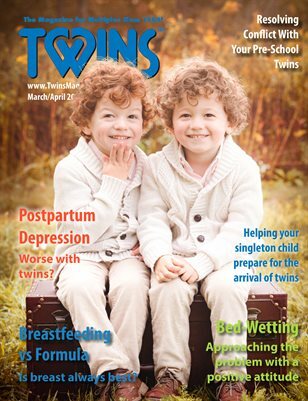 Our Spring-themed issue is now available! 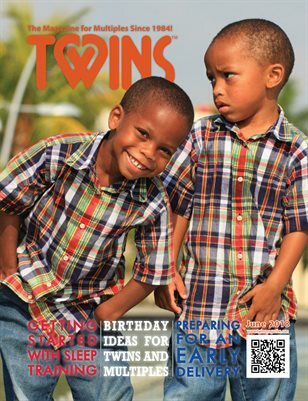 Happy 31st Birthday to us... enjoy our "birthday-themed" issue packed with great ideas for twins of all twin-types... Plus, so much more! 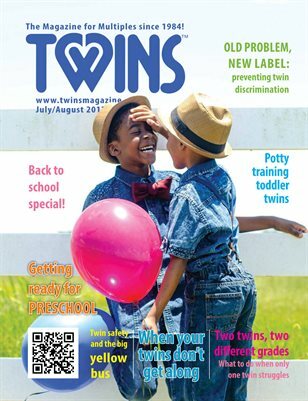 Our July-August 2014 edition is now available. 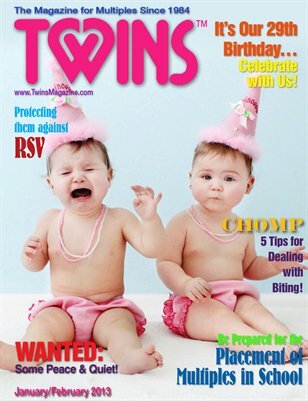 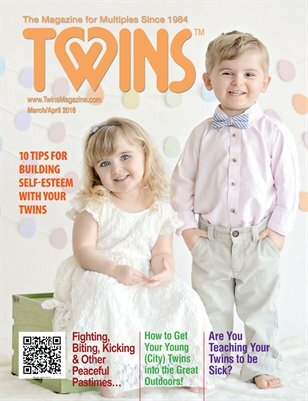 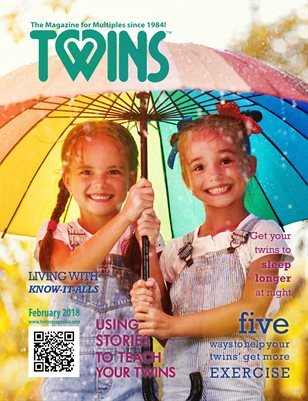 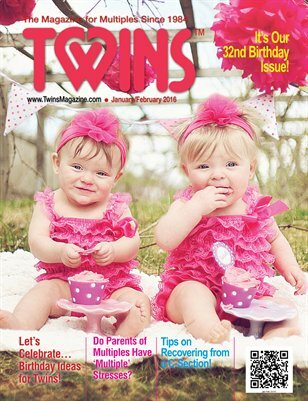 TWINS Magazine's March/April 2014 edition is here with lots of useful and practical information EVERY parent of multiples needs! 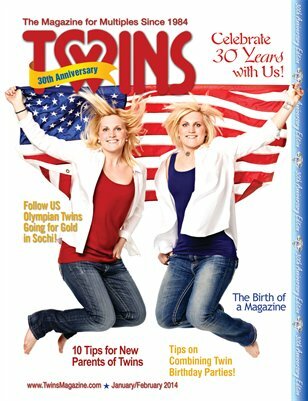 It's our 30th Anniversary issue! 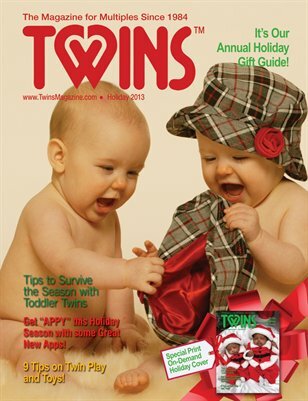 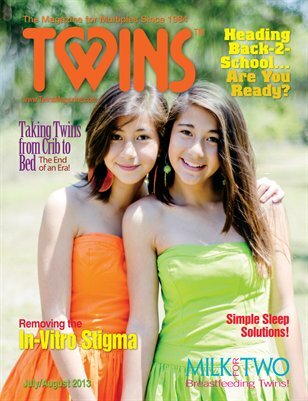 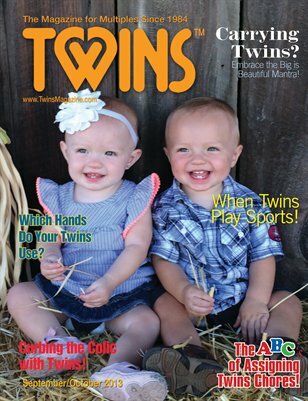 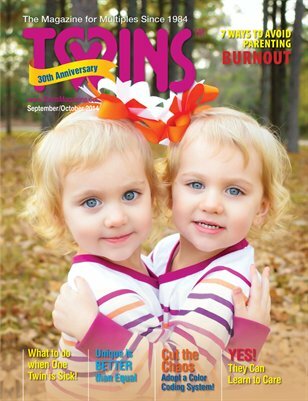 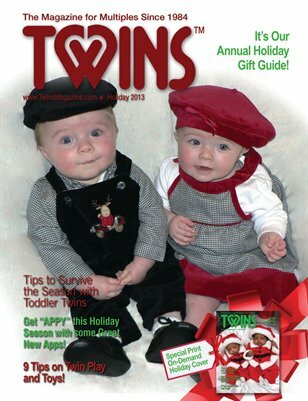 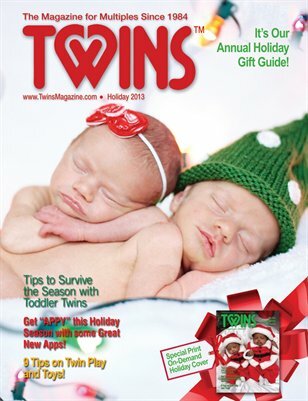 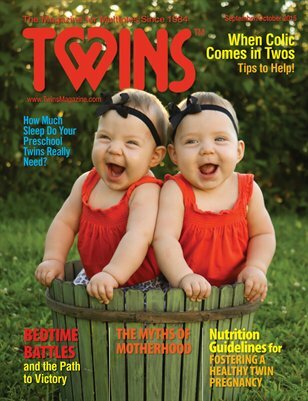 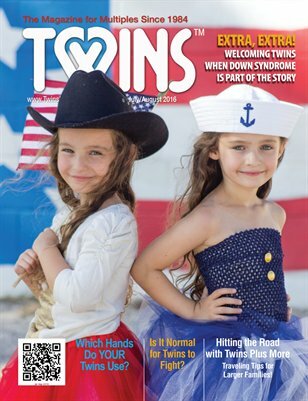 TWINS Magazine's Sept-Oct 2013 edition! 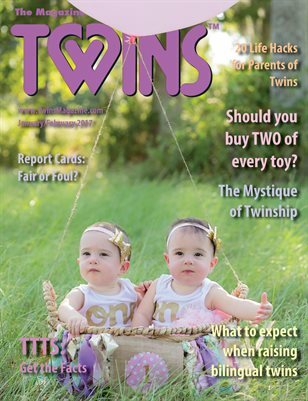 Our July/August issue is here and includes articles about going back to school, breastfeeding multiples, taking twins from crib to bed and more! 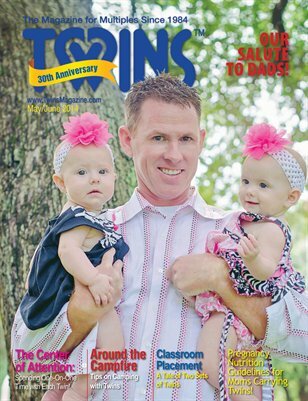 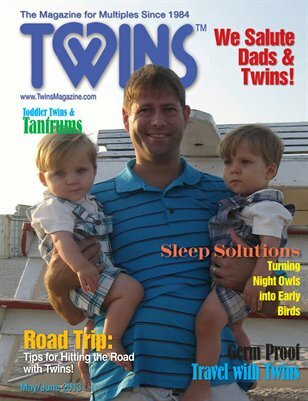 Our salute to dads in this issue along with sleep solutions, taming toddler tantrums, germ-proof travel and more!